I take a Chartered Bus from Office back home. The bus cruising by the side of our Office Complex takes to the main road to rush off towards the Outer Ring Road. 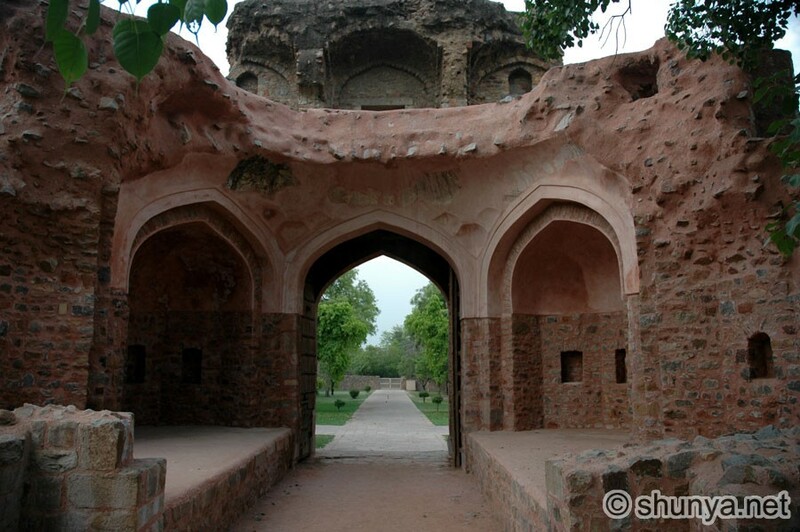 In this route, we pass by two heritage monuments (a Tomb and a Fort) and other places of historical importance too. Our bus stops right in front of the tomb for a few minutes as one or two passengers alight or board at that junction. Often, I’d see a short, slightly built figure standing right in front of the tomb, one hand gracing the railings of the garden encircling the tomb, the other casually holding a neatly folded snow-white cloth piece which I presumed was his cap. His quaint attire and appearance were both eye-catching. He always wore a white robe like dress which fell in light folds on his feet almost moping the grounds. A long chain of dark beads dangled from his slender neck almost till his waist. His complexion was not fair but a mixture of pink in a pallete of white. A diaphanous sheath tightly pasted over fragile bones! His hands were soft and well manicured fringed by delicate, pointed fingers. His finely chiseled facial features went very well with his physique, as though it could not have been anything else. But what attracted me the most was his long silvery beard that flew unclasped in air, matched by a bouquet of silky mane of the same hue, which frilled a shiny bald patch in the centre of his perfectly round head, and billowed down his back in joyful disarray. On hot muggy days, I would wonder how he maintained his long tresses without getting entangled in the mesh. Rain, hail storm, the man would be standing there in exactly the same posture, keenly looking around, a sparkle lighting his emerald green eyes in the dying evening sun and a thin smile playfully hovering on his petal like lips. He would be absolutely immobile, only the deep gaze, taking in the frenzy and fracas of the congested pavements and roads, almost electrifying in its intensity and creating a magic magnetic field around his inert form. Our eyes never met but I was sure he knew I watched him. My friend happens to board the bus from this very stop. By the time, the bus reaches the tomb, it is quite full and my friend has to cover the distance till destination mostly standing. On rainy evenings, it is worse. He often complains about the rush and crowd, but due to paucity of alternate transport, he has no choice but to opt for this bus (nicknamed chariot), in the long run. One rainy evening, as the bus came to a halt in front of the tomb, a sudden onrush of rowdy passengers, almost pushed my friend right behind. For one moment, I thought he would miss the bus. The strange figure, till now in inertia, was watching the mad crowd pushing, jostling and shouting at the entrance. My friend gave up and gestured to me that he was quitting the bus. As I was sitting right next to the window, I craned my neck out and told him that he better took this one as there was no other transport available thereafter. He gestured helplessly at the fierce crowd and told me it was quite impossible. I still persisted otherwise I knew he would be stranded for the night. My friend, as a last try, joined the struggling boarders. There was almost a fight brewing up in the race for who could get in first. Suddenly, out of the blue, the man in the white robe triggered into action and came right behind my friend and placed a fragile hand on his back and gave a slight push. And as he did so, my friend just melted through the crowd like a spread of butter on a piece of hot crackling toast and lo! He was inside the bus. I grinned at him as he threaded his way through the standing throng and came to stand right next to my seat. I looked up and smiled, “Thanks to the old man. Had he not helped, you would not have been able to get in." My friend stared at me with beady eyes, his jaws almost dropping to the floor of the bus, "Which old man?" He asked perplexed. "That old man who stands everyday in front of the tomb..." My voice trailed into silence. A frail, old man who almost floated in air! How could he push my friend so hard that he simply waltzed through that stampede without a crease on his shirt! I was just going to reason that out in my head when I heard my friend say "But I was alone and the last one in the crowd and there was nobody behind me..."
Before I could collect my composure, our driver had changed gear and the bus glided past the tomb. I pushed my head out and looked back but could not see the old man in the midst of gathering darkness and the horde of vehicles and pedestrians.